This collection spans Brandon Graham’s 20-year career and includes select cover work, illustrations, drawings from his work in animation, and assorted art, along with pages from his sketchbook, showcasing influences from all over the globe that combine into something uniquely personal. 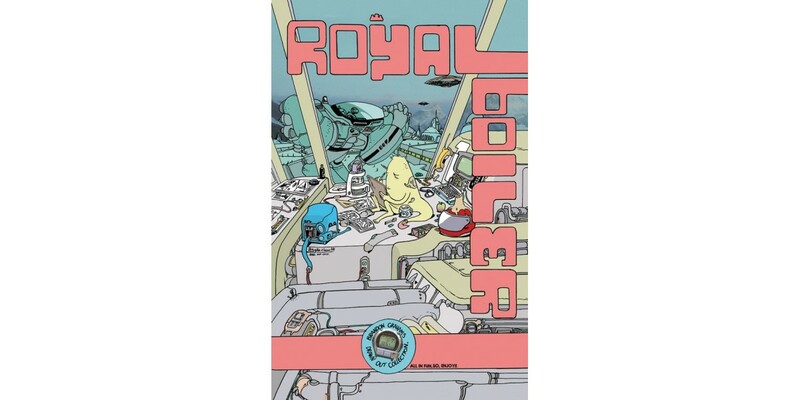 ROYALBOILER: BRANDON GRAHAM’S DRAWN OUT COLLECTION (ISBN: 978-1-5343-0853-4, Diamond code: AUG180191) hits comics shops on Wednesday, October 24th and bookstores on Tuesday, October 30th. It can be preordered via Amazon, Barnes & Noble, Books-A-Million, Indiebound, and Indigo.